Addis Ababa (HAN) May 1, 2014. Ethiopia’s Foreign Minister Dr.Tedros Adhanom said Ethiopia has repeatedly gone above and beyond “the call of duty” in trying to assuage Egyptian concerns and to reach over a more equitable allocation of the use of the Nile waters. “We are fully aware that cooperation and collaboration over the valuable resource of the Nile River offers a win-win scenario for Ethiopia, for Egypt, for Sudan and for the whole of the Nile Basin and Northeast Africa,” Dr. Tedros said in a statement. “The fundamental principle underlying Ethiopia’s Nile policies is very clear – total commitment to cooperation in the Nile Basin on the basis of the Nile Basin Initiative and the Cooperative Framework Agreement [CFA],” Dr Tedros said. Geeska Afrika Online: Go beyond the sound bites to see highlights of the latest political and public events through interviews and Regional IGAD analysis. Ethiopia, Sudan and Egypt have been engaged in a series of dialogues since the launch of the Grand Ethiopian Renaissance Dam (GERD) project on Nile River. Three years into the construction of the GERD, which is currently over 30 percent complete, Sudan have backed the 6000MW hydroelectric dam while Egypt remains concerned. With a 74 billion cubic meters of reservoir, Egypt fears the dam will reduce the flow of water downstream. Ethiopia’s foreign minister assured that Ethiopia will consider Egyptian concerns of the period with which the dam reservoir will be filled. Highlighting the dam’s benefit not just to Ethiopia but to the entire region including Egypt, Dr Tedros said the Nile should be a symbol of cooperation and collaboration. The CFA, which seeks to bring about fair and equitable utilization of the Nile River, was signed by six of the riparian countries after a decade of negotiations involving all the riparian countries. The framework effectively replaces colonial era treaties of 1929 and 1959, which ignored the interest of riparian countries other than Egypt and Sudan. “It is time to throw off the legacy of colonialism, which had bedeviled the exploitation of the Nile Basin for so long, and finally move into a new era of cooperation, with real and sustained development,” Dr Tedros added. Ethiopia sees the GERD, which will generate 15,860GWh of electricity a year after its projected completion in 2017, as a gateway to prosperity. The dam is expected to satisfy chronic domestic power demands with surplus energy to export. “We are, above all, determined to fight and win the war on poverty. 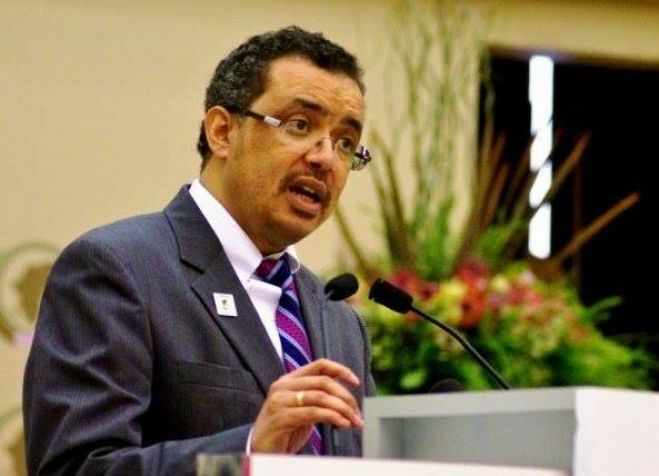 In the past, we have been unable to use the considerable natural resources with which Ethiopia is endowed,” Dr Tedros said. “… but with a decade of double digit GDP growth behind us, we are finally in a position to begin to exploit these resources properly, in the interests of national development. It is, of course, our right to do so in a manner that is acceptable to international norms and standards,” the foreign minister wrote.